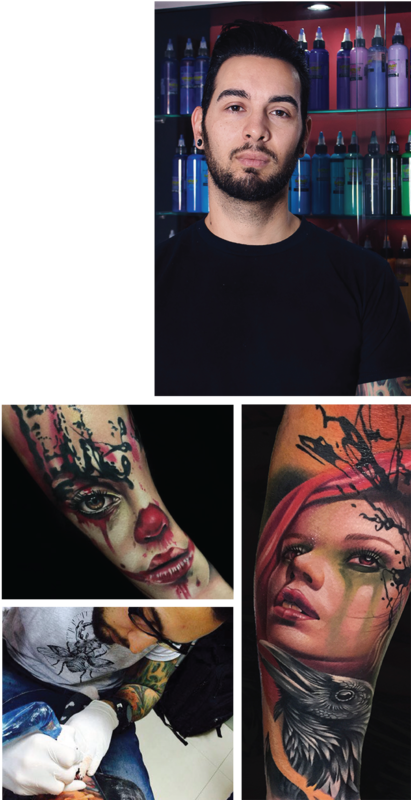 Fernando was born and raised in Buenos Aires, Argentina, where he was first introduced to the tattoo industry. In 2002 at the University of Buenos Aires, he has an encounter with a student who had a tattoo studio. Intrigued by the idea of tattooing, he accompanied his classmate who taught him the basics of tattooing. It was then that he decided to dedicate his life to this art form. Fernando considers himself to be a self-taught and passionate artist who features color realism in his work. He also like to include Oriental tones with realistic touches in his tattooing style. Fernando currently tattoos at Forever Tattoo in Valenciana, Spain or you can find him traveling the world at major tattoo conventions.